Prince of Wales check | Is This Mutton? 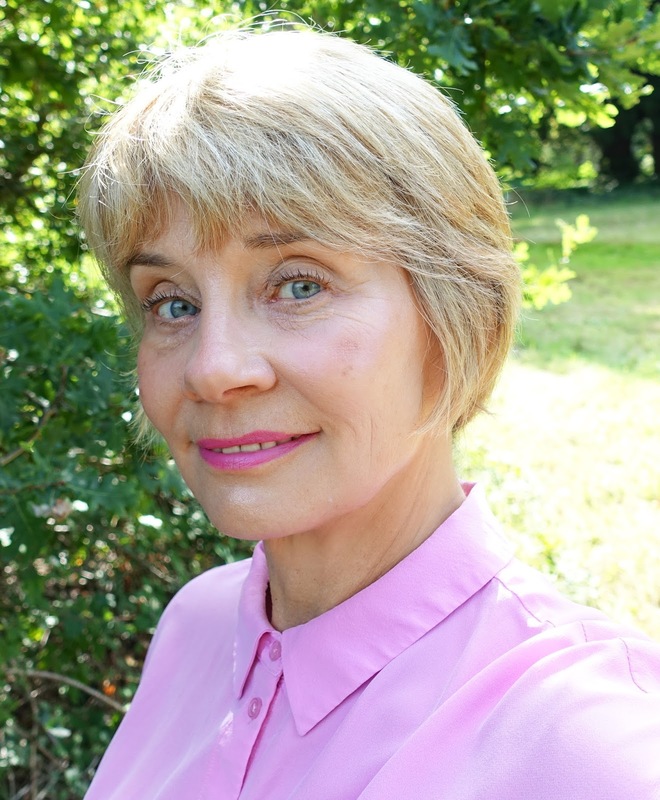 So pretty in pink, Gail. Never thought of this fabric for summer but it certainly works with the pink shirt and sandals. It's so unusual to have that check in something like a fallen fruits colourway so I look forward to seeing you transition this. And my loins are girded! I picked up on something new (to me) recently so I'm on tenterhooks awaiting your controversial piece! That sounds intriguing Mary, I wonder what your titbit is! I'm glad you like my "fallen fruits" skirt. How do they come up with these names?! Gail---this is such a gorgeous outfit!! Hounds tooth is such a classic print. I have quite a few vintage 1960's and 50's pencil skirts with that print. I love it mixed with the pink. It works wonderfully with your complexion. I happened by a Joseph Ribkoff today that you may be interested in. Let me know at info@bisous.biz and I can shoot you an email with photos. Ooooh a Ribhkoff - I'm there! Thanks Suzanne! So nice! 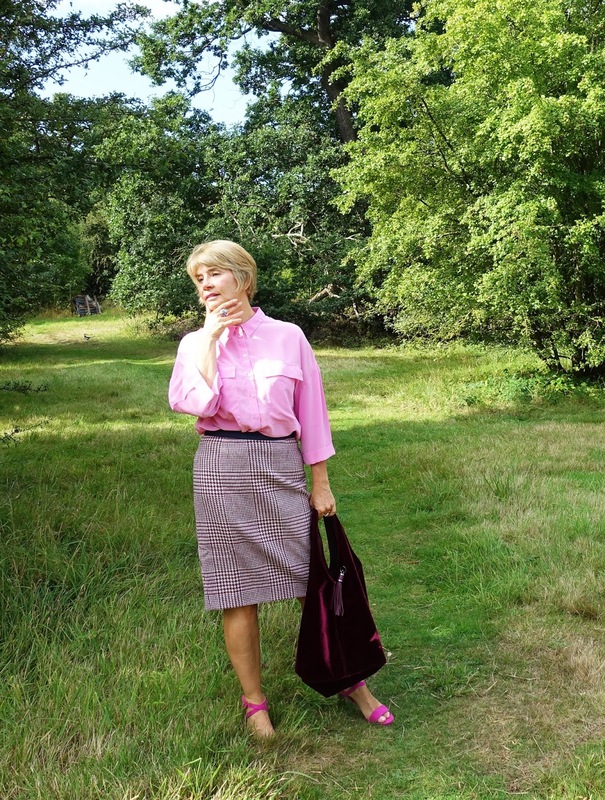 I like how you matched the the skirt to the pink shirt...the Prince of Wales fabric never goes out of fashion! Have a good rest of the week,Gail! Thanks for linking up to Top of the World Style. This skirt is perfect! I am looking for one like this in ages! Thanks Nicole - I am very tempted by the other colorways too! Fabulous claassic skirt! It looks lovely with the pink blouse and shoes. Thanks for linking up!